New Delhi [India], Apr 25 : Aiming to strengthen its engineering footprint in Eastern Europe, IT major Infosys Ltd. on Monday announced the opening of its first office and delivery center (DC) in Karlovac, Croatia. In line with the company's strategy to establish global competency centers, offer the best talent in the market and make it available to customers globally, this DC also marks its expansion into Eastern Europe's heavy engineering sector. The new facility will meet near-shoring requirements, support engineering clients worldwide as well as offer R&D services. 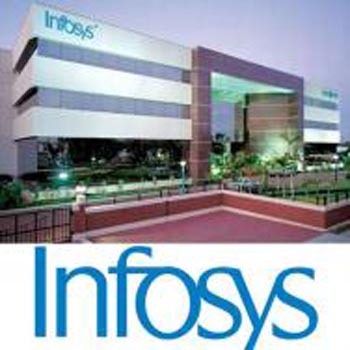 New Delhi [India], Feb. 21 : IT solutions provider Infosys retaliated against allegations made in the anonymous whistleblower's letter that was published in newspapers on Monday, stating that the assertions made are libellous and are aimed at tarnishing the image of Infosys and its management. "We categorically state that no member of the Infosys management team was involved in any prior investments in Panaya, and insinuations that anyone from the management team at Infosys benefitted from this acquisition are misleading and slanderous", the statement read. London: Infosys co-founder Narayana Murthy and his family have donated 200,000 pounds towards the statue of Mahatma Gandhi planned for Parliament Square here, helping in meeting the budget target of 750,000 pounds for the project. "Mahatma Gandhi was someone who demonstrated the tremendous power of leadership by example. His courage and commitment are an inspiration and I am delighted that his statue will stand in such a respected setting," said Murthy. The donation by Murthy along with wife Sudha and children Akshata and Rohan Murthy has helped the Gandhi Statue Memorial Trust meet its 750,000 pounds budget target for the project. Bangalore: Beating market expectations, IT major Infosys on Friday posted 28.6 percent jump in consolidated net profit to Rs 3,096 crore for the quarter ended September 30. The Bangalore-based firm had reported a net profit of Rs 2,407 crore in the year-ago period, it said in a BSE filing. Consolidated revenue was up 2.9 percent to Rs 13,342 crore in the said quarter from Rs 12,965 crore in the year-ago period. 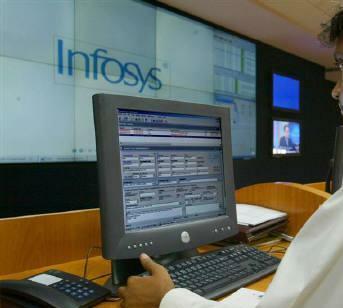 In the April-June quarter this fiscal, Infosys reported a net profit of Rs 2,886 crore and a revenue of Rs 12,770 crore. Bangalore: Thirty-three years after starting Infosys, its founders NR Narayana Murthy and S Gopalakrishnan Wednesday bade farewell to the over USD 8 billion IT firm with the former saying he has no regrets and the latter emphasising that politics is not his cup of tea. Seven co-founders, led by Murthy, set up the Bangalore- based firm in 1981. Murthy had the longest run of about 21 years as CEO before passing the baton to Nandan Nilekani and then Gopalakrishnan and S D Shibulal. 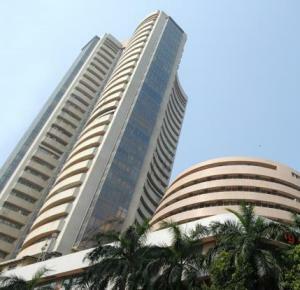 New Delhi : Three of the top-10 Sensex firms added Rs 38,768.45 crore to market capitalisation last week, with IT major TCS emerging as the biggest gainer. The m-cap of TCS surged Rs 18,186.79 crore to reach Rs 5,43,684.13 crore, while that of Sun Pharma zoomed Rs 11,049.34 crore to touch Rs 1,78,208.15 crore. The valuation of Infosys climbed Rs 9,532.32 crore, to Rs 2,20,920.14 crore. Bangalore: Vishal Sikka, the first non- founder and outsider to lead Infosys, on Friday said the country's second largest software services firm will focus on intellectual property, products and platforms in an effort to revive the lost glory of the once IT bellwether. The former Board member of German software giant SAP, who took over as Infosys CEO today from S D Shibulal, will also work with start ups to drive scale and business for the Bangalore-headquartered firm. In a letter to Infosys employees, Sikka said the task before the company now was to lay out the way forward. 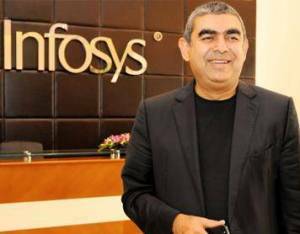 New Delhi: More than three decades since its inception, India's second largest software firm Infosys will on Friday get its first non-founder chief executive officer in Vishal Sikka. He replaces S D Shibulal, last among the co-founders to hold the CEO post. Shibulal served his last day in office yesterday. An outsider, Sikka will be the first non-founder to take over as CEO since 1981, when the company was founded by seven friends. Over the last 33 years, Infosys co-founders N R Narayana Murthy, Nandan Nilekani, S Gopalakrishnan and S D Shibulal have steered the company's operations. Mumbai - Shares of IT major Infosys on Friday gained over 4 percent in morning trade after the company reported a healthy 21.6 percent increase in consolidated net profit for the quarter ended June 30. 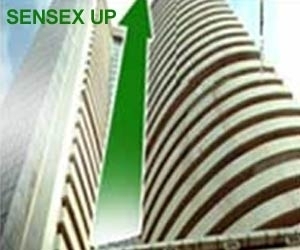 After a positive opening, shares of the company further surged 4.14 percent to Rs 3,429.35 on the BSE. At the NSE, the stock climbed 4.23 percent to Rs 3,432. However, profit-booking pulled down the stock, but Infosys was still trading in green, up 0.96 percent at Rs 3327 at 1200 hrs. 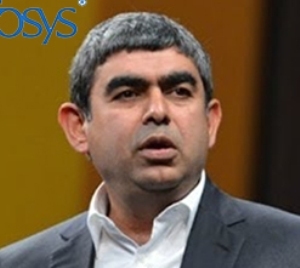 New Delhi: Infosys Ltd will pay its new chief executive officer Vishal Sikka up to USD 5.08 million in annual salary besides a stock option of USD 2 million, a package considered lower than global peers. Sikka, 47, will replace SD Shibulal and take charge on August 1. India's second-largest software services exporter sent out a circular calling for an extraordinary general meeting (EGM) of company shareholders on July 30 at Bangalore to approve appointment of Sikka as the new Chief Executive Officer (CEO). New Delhi: Dragged down by state-run ONGC, seven of the top 10 most valued Indian companies together lost Rs 67,233 crore in terms of market capitalisation last week. 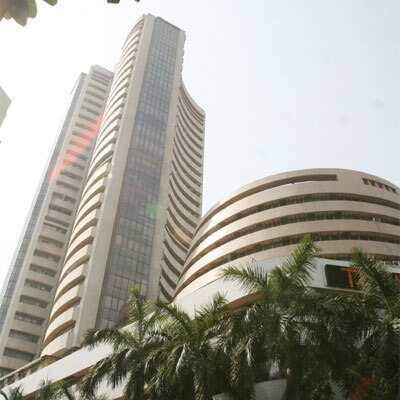 Barring TCS, HDFC Bank and Infosys in the top 10 club, the rest seven, including the likes of RIL, ITC and Coal India, witnessed declines in their market valuation for the week ended Friday (June 13). Energy major ONGC's M-cap plunged Rs 35,548.06 crore to Rs 3,61,426.68 crore, taking the steepest hit in the domestic market capitalisation (m-cap) chart. Bangalore: As he signed off his second innings at Infosys, industry icon N R Narayana Murthy on Saturday said the nation's second largest IT services firm Infosys had "diluted focus on meritocracy and accountability" in the past decade, forcing him to take "hard and tough decisions." 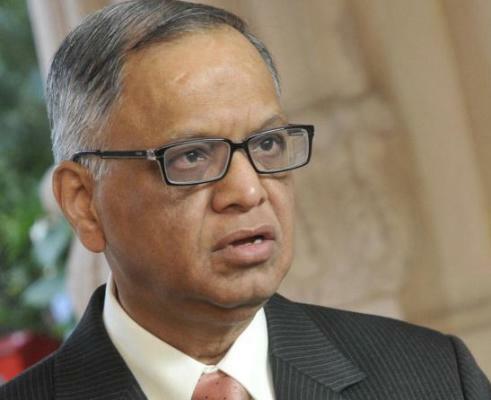 Bangalore: Set to wrap up his second innings, Infosys co-founder N R Narayana Murthy on Thursday said he has fulfilled mandates given to him by the company's board and now plans to spend time with his grandchildren and read books. "When the Board of Directors at Infosys requested me to come back last year they gave me two mandates, one - to assist them in finding an excellent successor to (CEO S D) Shibulal. The second mandate they gave me was to create a strong foundation for future growth of the company. I believe by and large I have fulfilled both of these obligations," he said.